What the heck is a consignment shop? Well, yes, in the sense that someone else has already worn them.? However in NYC you have never seen “old clothes” like these old clothes.? Here’s a hint. People who wear Chanel don’t usually wear them out!? That’s the kind of finds you will get on a regular basis at New York City consignment and even thrift shops. A quick definition is in order for the uninitiated.? Consignment shops are stocked with clothes brought in by regular people like you and me(and not so regular in NY, where there’s lots of celebs who do to, on the down low).? When the item is sold the money is split between the store & the consignor.? It’s usually a 50/50 split.?? Keep this in mind when you clean out you closets. 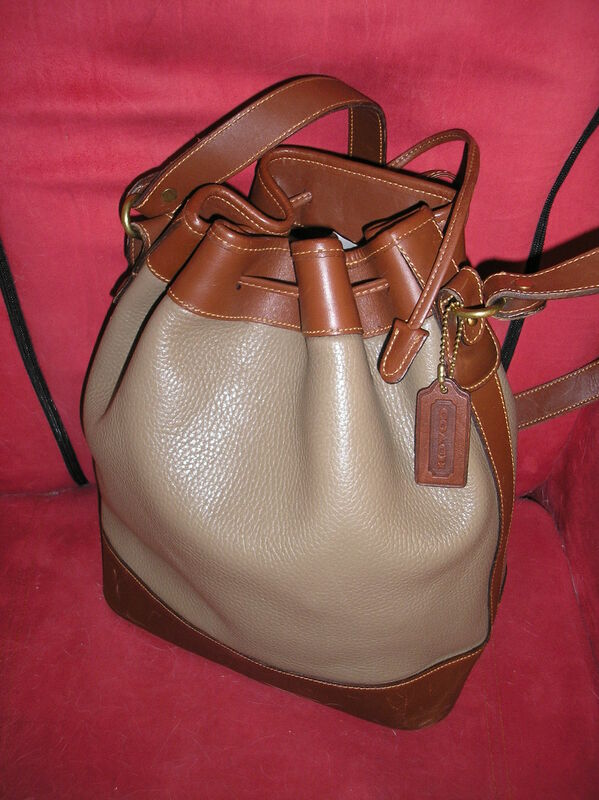 To give a quick example, here’s a Fendi leather bag, retailing for around $2000.? I?found it for?$450.? Now I don’t usually fork over that kind of dough for any handbag, but this was a must have.? 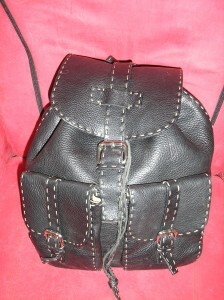 The 2 styles of handbag I love are knapsack & drawstring.? I just fell in love with this one, however I also knew I would get enormous use out of it.? I’m like a linebacker with my bags.? I destroy them.? All those beautiful soft leather numbers are not for moi for every day use. 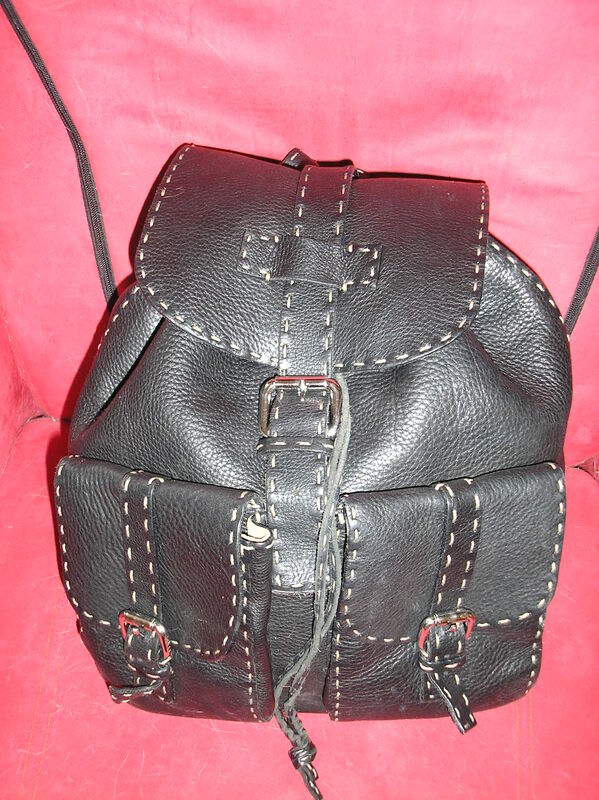 This one is thick, durable leather.? It will look great for years.? That was the clincher(and my justification). Ok, so I’m not the best photographer.? A more usually priced purchase for me is this Coach Bag I paid $60 for, and it was brand new. Of course handbags and shoes are just a fraction of what is available in these stores.? You’ll find lots and lots of clothes from Chanel, Prada, Dolce & Gabbana, St John, Juicy and everyone else on down.? Remember too, these shops are very selective.? Everything is in pristine condition.? Once you wash or dry clean it, although they have to be freshly laundered to be accepted, there will not be a trace of any one’s cooties left.? Plus, and this is a very big plus, you are recycling.? In this country which we are blessed to be living in, there is sooooo much surplus.?? ?You could go for the rest of your life living & dressing extremely well & never buy another new item.? I love this type of shopping!? I don’t just go at home though.?? Whenever I travel I research these kind of shops which are convenient to my destination.? They are one of my 1st stops.? Besides the deals and the thrill of the hunt, it also gives me an idea of what the locals are wearing.? Then I can be fashionable wherever I am. Plan to hit a number of stores in one day.? That maximizes time & your chance of finding what you want.? NYC has the upper east side in the 80’s where you could hit 10 or more shops within walking distance of each other. Keep an open mind.? Try not to do this sort of shopping with a specific item in mind .? Think more of building your wardrobe. Get motivated by the thrill of the hunt.? This way you won’t get discouraged if you don’t find things you like right away. Really, really look through those racks.? Unlike regular retail, every piece is different.? If you?don’t take?the time to really look you could miss the deal of a lifetime. Try on, try on, try on.? Don’t pay attention to sizes.? They mean little on new item and less on used.? It may have been taken in, out etc by the previous owner.? If it looks like it might fit, try it on. If you’re finding a bunch of things you like in your size, look at the tag for the consignor number(# assigned to each person whose clothes they sell).? If it’s the same, then you’ve hit on a? person with your taste & size.? Ask the store owner to inform you when this person brings in more items. Check your items thoroughly.? Even though?stores are selective, they can miss flaws.? Before you plunk down your cash bring the item to the lightest place in the store and look it over front & back, inside & out.? Remember there are no refunds or exchanges in these type of stores. Ask the 3 magic questions to help avoid impulse buying: Where would I wear this to? ?I could find a $5000 Roberto Cavalli gown for $100.? If I’m not strutting down the red carpet anytime soon, I might as well throw that hundred buckaroos out the window. What would I wear it with?If I don’t know what I will wear it with and I’m not getting that at the same time, there’s a good chance it will sit in my closet.? Another waste of $$$.? ?Would I buy it at full price?? Sales are very seductive!? If it’s not something I would pay full price for, it probably won’t get worn.